This documentation describes the process of speeding up your website designed with the Hueman WordPress theme, using the free W3 Total Cache plugin. Other results available at the end of this documentation. The first reason is that it's free and very effective. 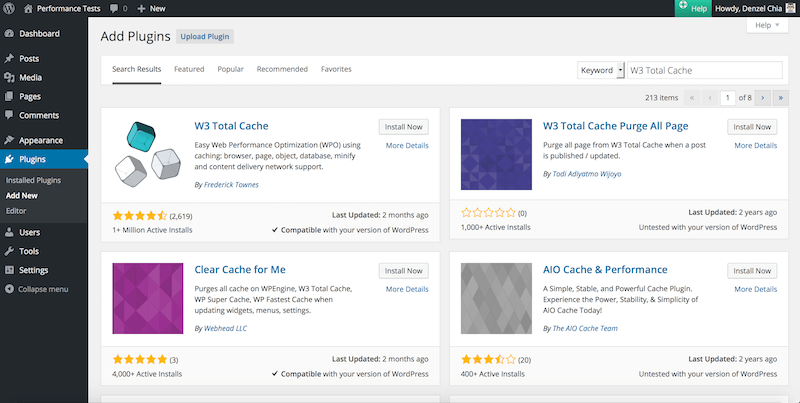 The W3 Total Cache plugin has been around for years and is successfully used by millions of websites. However, it can be a little tricky to setup when you start using it, that's why we propose this simple guide for the Hueman theme. This results in faster page load times, and an improved user experience. In the following guide, you'll learn how to get excellent speed performance scores as measured by several online tools like, GT Metrix, PingDom, and WebPageTest. Before we proceed with installing the plugin, we shall do a GTmetrix page speed test. This will able us to compare the improvements after using W3 Total Cache Plugin. The following is a screenshot of the test result. The PageSpeed Score is at 79% and Total Page Size is 410KB, we will attempt to further improve these results, after setting up and using W3 Total Cache Plugin. For the Hueman theme, I would recommend a maximum width of 720 pixels for your image. Wider image will just be too large for most of the devices. Typically, large high quality images should be kept between 100K and 60K. source : Image sizes and quality on WordPress.org. Each WordPress theme defines specific image sizes that will be used in various contexts. Each time you upload an image to your media library, WordPress generates in the background all the theme required sizes. When you switch from one theme to another, all your previous images are not automatically re-generated. So you may have many images with wrong dimensions. The simple solution to avoid this problem is to use the excellent and free plugin called : Regenerate Thumbnails. Type W3 Total Cache in the search box and enter. Click Install Now button and follow by activate plugin link. Don't use this check-box, we will be going though settings and enable only those that we need. Lets you test configuration changes before they impact on your users. Switch to Enabled to safely test changes prior to deploying in a live environment. Remember to deploy after you are done setting. 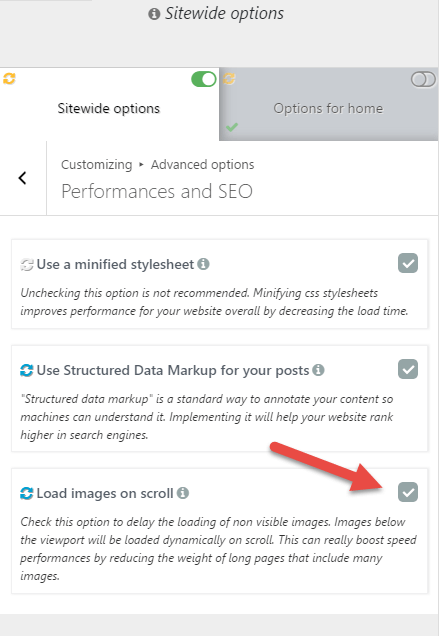 This option will create and store a static version of visited pages on your server, so that it can be served immediately to browser. Saves time needed to retrieve content from database, and therefore speeds up loading. Check on the check-box to enable this option. Select Disk: Enhanced from the drop-down, this is the preferred setting that will work properly on Shared Hosting. We will be using this setting for this documentation. Other settings will require installing of PHP extensions, such as Alternative PHP Cache (APC). You will only be able to add PHP extension on Dedicated Server or Virtual Host, either with the help of your Web Hosting company or if you are familiar with server software. Click on Save all settings button. Check on the check box to enable this option. Later on, we will have to continue setting up Minify options on Performance -> Minify. Select Disk from the drop-down, this is the preferred setting that will work properly on Shared Hosting. Same as Page Cache option mentioned above, other settings will require installing of PHP extensions. Select Default from the drop-down. This option saves data retrieved from database. Select Disk, from the drop-down, this is the preferred setting that will work properly on Shared Hosting. Other settings will require installing of PHP extensions. This option saves common operations. This option uses the cache in the visitors browser. The CDN wlll deliver the content of these files from a server that's nearest to your visitor's location, this will speed up page load. You will have to sign up for a CDN service, such as MaxCDN (recommended by W3 Total Cache plugin). That's all for the general settings, skip the remaining options and proceed to setup the remaining of the minify settings. 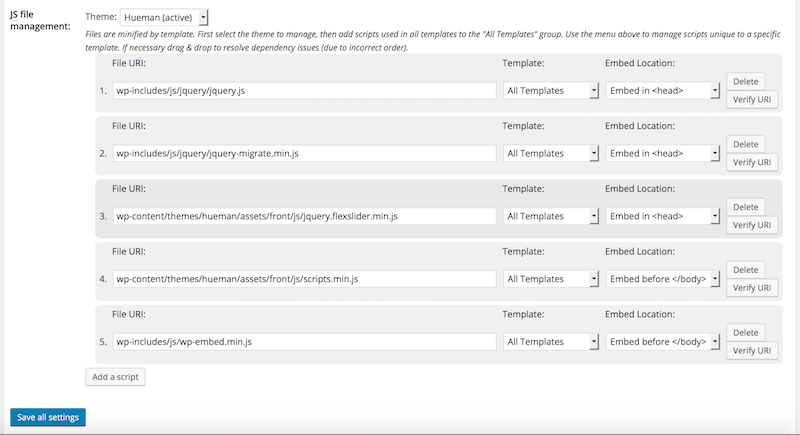 Check on the check-boxes of Enable, Inline CSS minification, and Inline JS minification. Select Minify and Non-blocking using "defer"
Take note of the file sequence, jquery.js will always be the first to load, or you will get script errors. Click on Save all Settings button, after you have done adding the above file links. Select None in the drop-down. Enter the following contents into the inputs, repeat for all the Stylesheet files listed below. Take note of the file sequence. You will see something similar to the following screenshot. That's all for the setup. Remember to switch off preview mode if you have set it in WordPress admin -> Performance -> General Settings -> General -> Preview mode. Now we shall do a new GTmetrix page speed test. The following is a screenshot of the test result. You can see that there is a 19% increase in PageSpeed Score. Total Page Size has been reduced nearly 50% of it's original size. That's consider a great improvement! Now you have a website that's loading in a flash! Your visitors will be happy. With the PingDom Speed Test tool, we see that the website loads in 886ms, which is faster than 92% of all tested websites. Pretty good ! 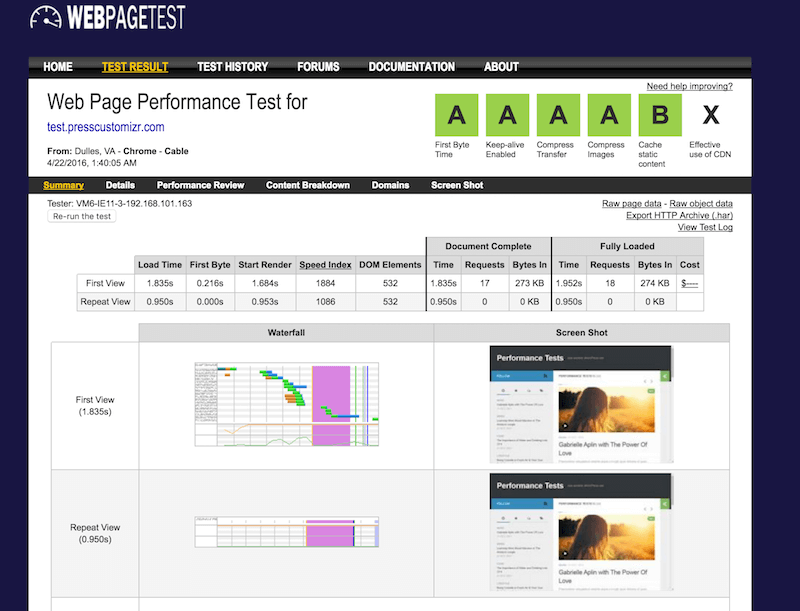 WebPagetest is another excellent web performance tool. It provides extremely detailed results. It's an open source project that is primarily being developed and supported by Google as part of their efforts to make the web faster. Sitepoint: GIF, PNG, JPG. Which One To Use?